If you want an enchanted getaway in the country side of Norangsfjorden, Norway then this is the hotel for you! Considered one of the worlds twelve most exciting hotels, Hotel Union Øye is sure to please each and every guest. The hotel first opened in 1891 and has since attracted European royalty and artists; and each of the twenty-seven guest rooms are named after the illustrious guests that have previously stayed with them before including: Kaiser Wilhelm, King Oscar, Queen Maud, and Princess Victoria. You too can experience life as a royal when staying here. Regardless of the name of the room every accommodation is luxuriously decorated with antiques that take you back in time, in a gorgeous and sumptuous way. Each of the twenty-seven rooms tells a unique story adding an air of mystery and intrigue for guests. Also, there are many themed packages that tailor to every guest’s whims and desires such as Ski Summit, Winter Getaway, Romantic Getaway, Hiking the Fjords, and Sognefljellet. Experience the best of Nordic cuisine through an excellently prepared three course meal at their famous restaurant. At the Hotel Union Øye you get an experience that is worth a lifetime. 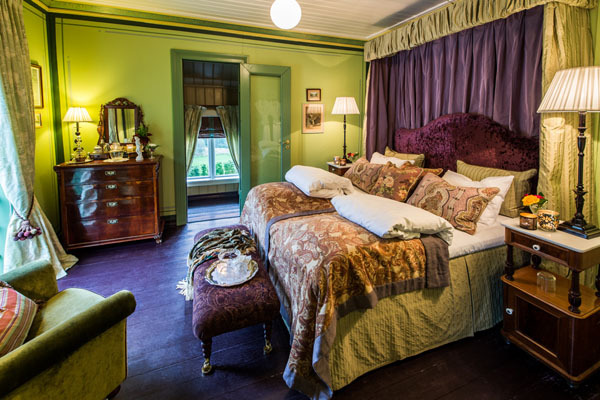 You will never get bored while visiting this beautiful antique hotel in Norway, because there are a multitude of outdoor activities that guests can partake in while they enjoy their stay here. Some of these activities include: Ski the Fjords, Hiking Slogen, Sea Rafting, Helicopter Sightseeing, Alpine Skiing, and Kayaking. Nowhere else in the world will you find such majestic scenery that is right at your fingertips while staying at Hotel Union Øye! This is the perfect way truly experience what Norway is all about. Guests can savor the good life and the tranquility in a magnificent surrounding.